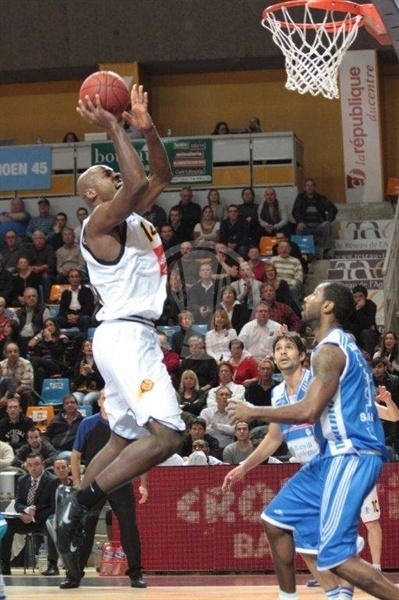 Orleans Loiret downed Banco di Sardegna Sassari 88-75 in Group H to improve to 1-1. 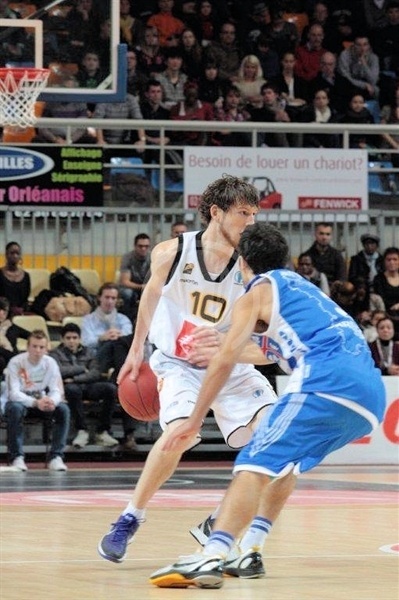 Orleans used a 10-0 run to take an 83-70 margin late in the game and get its first win of the Eurocup campaign. Caleb Green led the winners with 23 points, with 3-for-5 three-point shooting plus 8 rebounds and a performance index rating of 34, Bambale Osby added 15 points, while Jahmar Young, Brian Greene and Marc-Antoine Pellin bagged 10 apiece. Tony Easley amassed a double-double of 20 points and 13 boards and an index rating of 28 for Sassari, while Bootsy Thornton added 16 points, Travis Diener 13, Drake Diener 11 and Brian Sacchetti 10. Easley and Greene opened the game exchanging two pointers, Thornton from downtown made it 2-7. Green consecutive jumpers answered by Travis Diener and Easley baskets put Sassari in front 7-11. Pellin fueled Orleans from downtown, but Easly dunked and Manuel Vanuzzo and Thronton scored consecutive threes to go on 12-19. Fernando Raposo scored down low, Drake Diener finished with a layup and Bambale Osby’s jumper and dunk and Green again with a jam cut the margin to 20-23. Drake Diener showed his shooting ability by scoring off a pick while Osby again found easy points in the open court to make it 22-25 for Banco di Sardegna at the end of the first quarter. A 9-0 run to open the quarter capped by a Greene triple gave a 28-25 advantage to Orleans. Thornton and Antoine Aito both scored from short range and Travis Diener and Sacchetti were perfecto from the foul line to lead again 30-33. A three-pointer by Eito put the hosts in front 35-32. Green scored a pair of free throws, but the Diener duo tied it at 37. Green again from long distance pushed Orleans to 41-37; Travis Diener used his pull up jumper, then Green and Michael Binetti exchanged layups to go on 43-41. Green hit another triple and Thornton posted free throws, to finish 46-41 for the hosts at halftime. Easley scored for Sassari to open the third quarter, but back-to-back three-pointers by Jahmar Young made it 52-43 for Orleans. Easley scored again from deep range, then Raposo exploded with consecutive buckets in the paint to take a double digit margin for the first time in the game, 56-45. A Travis Diener triple and Thornton fade-away kept Sassari in charge, but Pellin’s jumper and Osby free throws restored a 62-52 advantage for the hosts. 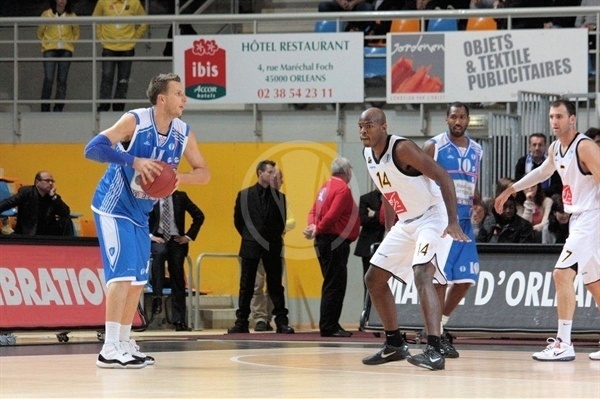 Pellin and Sacchetti were perfect from the foul line, but still a three pointer of the short point guard of the French side added with a free throw nailed by Osby raised the margin to 68-55. Drake Diener jumper and Sacchetti from downtown made it 68-60, but there was still time for Chris Hill to score a free throw to finish on 69-60 after 30 minutes. Osby fueled again the home team to 71-60 to start the last quarter, but Easley dunked to excite his team, and Travis Diener scored free throws to fuel Sassari hopes, 71-64. Sacchetti and Drake Diener chipped in three-pointers, with a Raposo layup in between to stay on 73-70 with six minutes left in the game. Green free throws and a rocket from downtown pushed Orleans ahead to 78-70, then Raposo with a dunk and another triple by Hill extended the advantage to 83-70. Thornton scored twice trying to keep his side in charge, 85-74, then a three pointer by Green with 64 seconds left sealed Orleans’s success!